Can I File a Claim if I Was Uninsured When the Crash Occured? If you were uninsured at the time of your car accident, cand you still file a claim for compensation for your injuries? Learn the answer in this video. 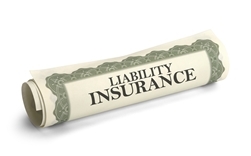 It's important to carry liability car insurance in California. If you're seriously injured in an accident, the law gives you the opportunity to file a personal injury lawsuit and seek a financial award from the driver whose negligence caused the crash. However, if you're an uninsured motorist, California's Proposition 213 prevents you from pursuing and collecting certain types of damages to which you'd otherwise be entitled. Don't let a lack of liability car insurance and law knowledge rob you of the chance to fight for the compensation you need to get your life back on track. California is a fault car insurance state that requires motorists to carry a minimum of liability insurance on their vehicle or face stiff penalties, such as fines and suspension of vehicle registration. In 1996, the state took this mandate a step further with the passage of Proposition 213. A punitive statute heavily promoted by the insurance companies, Prop 213 effectively prevents uninsured motorists from collecting general or non-economic damages after a car accident, even if they weren't the driver who caused the accident. Under Prop 213, if a motorist isn't carrying the minimum amount of liability insurance at the time of an accident, he's not eligible to file a lawsuit to receive compensation for general or non-economic damages. This can make it much more difficult for car accident injury victims to get the help they need to recover. Fortunately, the state of California offers a variety of resources that help motorists obtain liability insurance coverage that meets or exceeds the required amounts. While Prop 213 is a harsh law, it does contain two notable exceptions. Prop 213 applies only to the uninsured individual driving the vehicle at the time of the accident, not the passengers. So, while the driver is unable to seek non-economic pain and suffering damages, the passengers in the vehicle can still file personal injury lawsuits to pursue damages for physical pain, mental and emotional suffering, disfigurement, and loss of quality of life. Across the board, Prop 213 doesn't apply in situations where the motorist who caused the accident was driving under the influence (DUI) of alcohol. The proposition determines that a motorist charged with DUI was more reckless. Consequently, other people shouldn't have to suffer because of his or her actions. In this instance, a California uninsured driver can still sue for compensation to recover non-economic damages. If you were injured in a serious car accident in California, you need a team of knowledgeable injury recovery specialists to help you get the best compensation possible. The skilled personal injury attorneys with the Inland Empire Law Group can help you explore your legal options, and fight for the recovery you need and deserve. Contact our Victorville or Rancho Cucamonga law offices today to schedule a free initial consultation to discuss your case.